We’ve got all the latest announcements and accolades right here. Check in often to see what we’ve done and what we’re up to next. Robotics has started in our GATE Club. They are getting ready for the Arts and Engineering Fair. Check out the photos of our robotics team in action! Our re-enrollment form for the 2019–2020 school year is now available! We ask that you fill it out, and then email it to CandaLee Parker. Attention parents, please check your bus schedule as some times have changed! You will find all this information on the Transportation page. 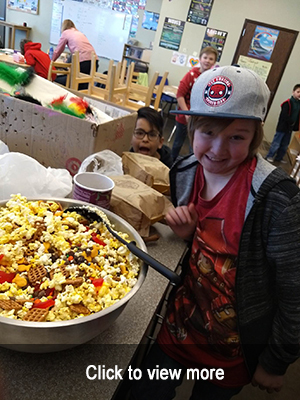 Mrs. Walker’s class celebrated the 100th day of school by making trail mix with ingredients donated by parents. The students prepared the famous snack and enjoyed the finished product. Yummy! Our bus transportation program needs your support March 11 through 15! To all families who signed their students up to ride the bus this year, even as occasional riders, it is important to ride the bus all next week as much as you can so that our transportation program gets support from actual numbers of our scheduled riders. The state of Idaho partially measures the support schools get for bus transportation by the number of riders counted during rider count weeks. We have many students who ride buses on different days, take different buses to and from school, or only ride sometimes. Please help support our bus service by riding as much as you can, so that all scheduled students participate in this rider count week. We really appreciate your support! Thank you! Please join us for conversation, education, and cookies at our book club on February 19 at 6:30 p.m. Parents, students, and community are welcome. For more information, please check out our book club flyer. We hope to see you there! The goal of national school choice week to let parents know that they do have a choice in their children's education. This week is for the parents. No one knows our children better than the parents do. The idea for this week is to take this time and do some research to find out if your child is getting the best education suited for their learning style. 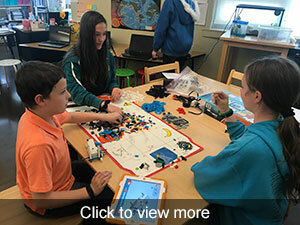 Erica Kemery, administrator of Montessori Charter School says, "Many parents assume that their local neighborhood schools best option for their child. Later they learn there are different reasons to make that decision to switch schools." Please take a moment to read this article in its entirety on the Local News 8 website. We encourage you to read the rest of this news article by Esmi Careaga on LocalNews8.com. Students at our school asked their families or close families friends to sponsor their reading for this week, pledging a few cents for every minute they read. The students then log the number of minutes they read on a chart and donate the money to a scholarship fund for Golden Sunbeam Montessori in the rural village of Essem. To learn more about this exciting project, please read this article posted in the Post Register. The efforts of expanding the school started three years ago and finally Monticello fulfilled all the requirements of the charter commission. We encourage you to read the news article in its entirety at EastIdahoNews.com. Monticello Montessori recently participated in the Montessori sing for peace day. Please enjoy this video of our talented students singing for peace. 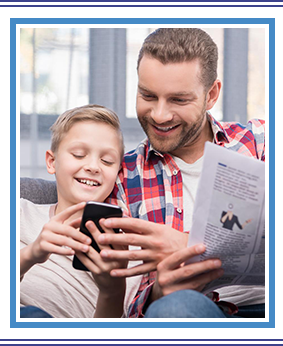 Communication between home and school is an essential component of your child’s success. Help us to keep you informed by keeping your contact information current and signing up for email and text updates. We also invite you to give us a “thumbs up” on Facebook. A periodical newsletter published by our school counselor. We do not require that parents provide their child with classroom supplies. However, if you are able to assist us in providing these materials, it will help us to conserve resources for items such as classroom library books and special project materials.